This week, some very familiar names will appear on a list of eight inductees into the California Hall of Fame: Robert Redford, Joan Baez, Ed Lee and Belva Davis. There’s one among them who’s not a household name, but she’s no doubt had an impact on households everywhere. 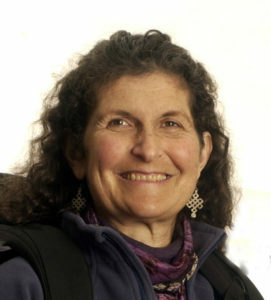 Arlene Blum, a Berkeley scientist and accomplished mountaineer, will be honored for her efforts to reduce harmful chemicals in products ranging from children’s pajamas to furniture. The 73-year-old biophysical chemist and founder of Berkeley-based Green Science Policy Institute will join seven other inductees at a ceremony Tuesday evening in Sacramento. 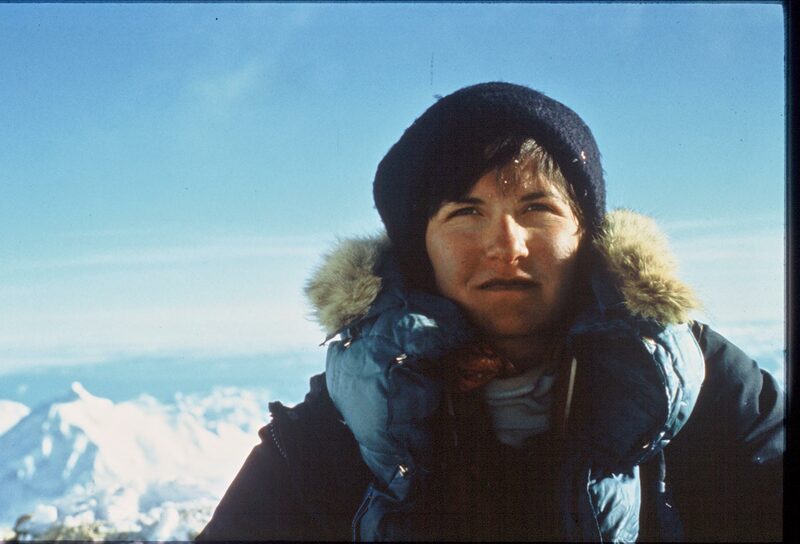 In 1978, she led a women’s expedition that became the first American ascent of Annapurna I, a Himalayan peak that’s one of the world’s most challenging and dangerous climbs. She also co-led the first women’s team to climb Denali and completed the Great Himalayan Traverse across the mountain regions of Bhutan, Nepal and India. And there was that time she hiked the length of the European Alps with her baby daughter on her back. Photo courtesy of Arlene Blum. But back to those harmful chemicals. Between high-altitude treks, Blum has spent decades educating lawmakers and manufacturers about dangerous substances added to everyday products. Blum began investigations into harmful chemicals in the 1970s with research into flame retardants found in children’s pajamas, leading to a ban on the cancer-causing chemical tris. Years later, however, she discovered the chemical was right back in furniture and baby products. She then founded the Green Science Policy Institute in 2008, to bring together scientists, regulators, businesses and public interest groups to reduce harmful chemicals in products. The organization has helped to stop 10 unneeded flammability standards and prevented hundreds of millions of pounds of toxic flame retardants from being added to consumer products, according to its website. Blum is currently focused on educating the public, manufacturers and decision-makers on chemicals of concern grouped into six classes. Many substances that may be harmful to health are found in everyday products, such as phthalates found in some PVC plastic products, paints, personal care products, and air fresheners. Understanding the chemicals, how they are used and how to avoid them can prevent a cycle of “regrettable substitution” that Blum has often seen. That’s when a harmful chemical that’s banned due to research is replaced with a closely related chemical that also can cause harm. Many companies like Ikea have already made a commitment to reducing harmful chemicals in their products. Education is the key, she said. “We reach out to architects, designers, big companies that want to have healthy workplaces for their employees,” Blum said. For consumers and decision-makers alike, six short videos on the institute’s website sum up information and possible dangers of the classes of chemicals, at http://www.sixclasses.org. The inductees in the 12th class of the California Hall of Fame were announced in late November by Gov. Jerry Brown and first lady Anne Brown, in partnership with the California Museum. They are: Blum, Baez, Davis, Redford, chef Thomas Keller, public servant Nancy McFadden, former Los Angeles Dodgers pitcher Fernando Valenzuela, and former San Francisco Mayor Ed Lee, who passed away suddenly last year. Members of the public are invited to watch the 12th Annual California Hall of Fame induction ceremony live webcast at 7 p.m. Tuesday, at http://www.californiamuseum.org/webcast/12-hof.